1. DIFFERENT CUT, DIFFERENT METHOD. Always tailor the cooking technique to the cut. Tougher meats, such as chuck, brisket, or round, are suitable for long braises. On the other hand, more tender cuts like rib eye, New York strip, or tenderloin, are great for searing or grilling. Ground beef can be used to make polpette, or meatballs, and carne crudo (Piemontese beef tartare). Two of the most popular ways to prepare a steak are tagliata – grilled strip loin, sliced and served with peppery arugula and lemon – and Bistecca alla Fiorentina, an extra thick T-bone grilled over high heat. When it comes to tender cuts, Italians more often than not add very few seasonings, preferring to let the natural flavor of the beef shine through. Before cooking, rub a generous amount of sea salt and freshly ground black pepper over the meat. After cooking, drizzle with extra virgin olive oil and a few sprigs of your favorite herbs. Rosemary, thyme, and sage all work quite well with beef! Most Italians know their butcher by their first name. Finding a macelleria, or butcher shop, is key to ensuring a high-quality cut of meat. 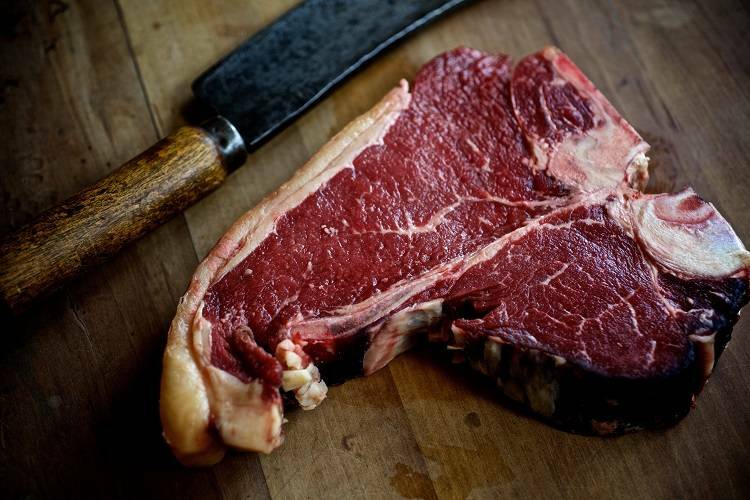 A real old-fashioned butcher can cut your meat to order, giving you the exact cut and size that you need. You'll also be able to ask your butcher questions about how the meat should be cooked, how the animals were raised, and learn more about the breed. 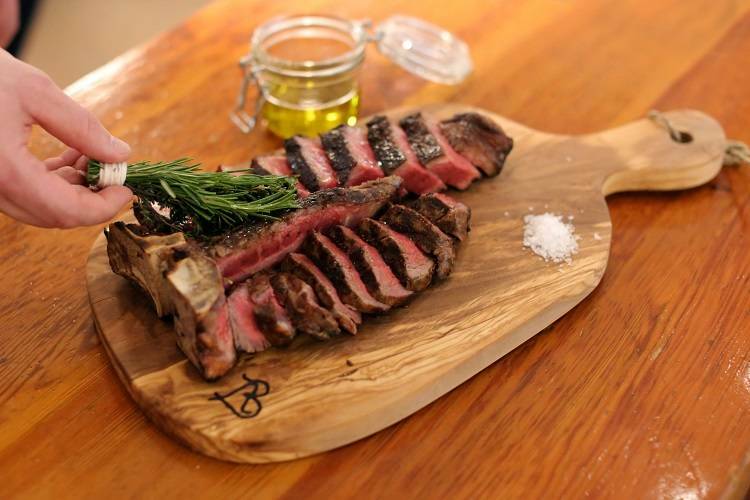 In Italy, certain breeds like Chianina cattle, are highly regarded for their flavor and texture. Rare heritage breeds raised on open pastures tend to be more flavorful and well-marbled. 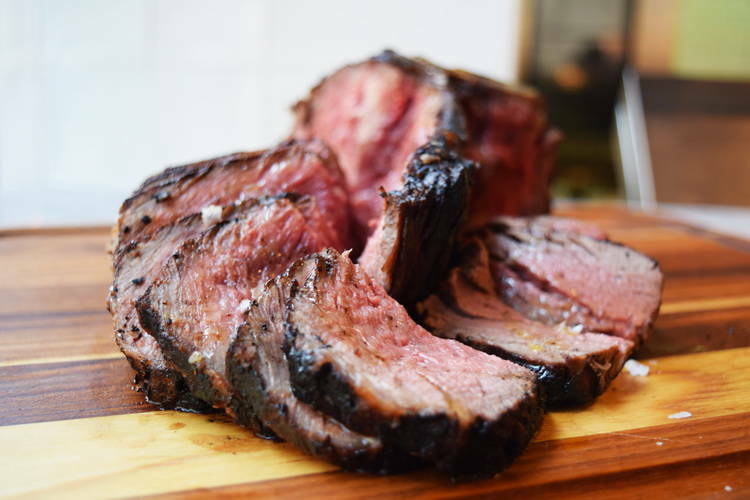 Dry-aged beef will be darker in color, but rest assured that this type of meat is full of flavor!